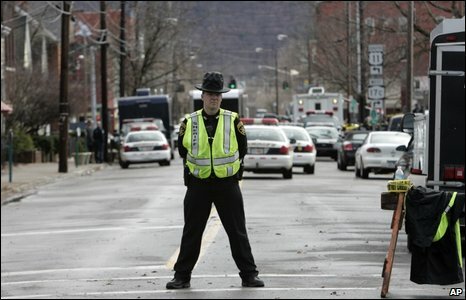 A gunman has killed at least 13 people at a US immigration advice centre at Binghamton in New York state. 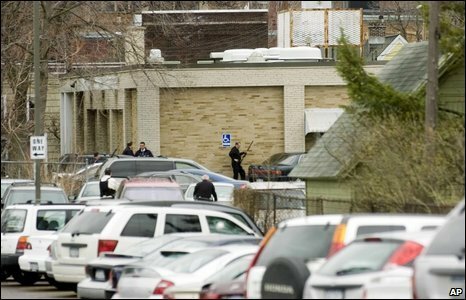 The man, who also took dozens of people hostage, was later found dead inside the building. 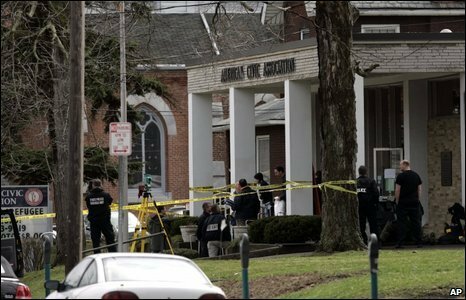 Several people were injured during the standoff, four of them critically, but all surviving hostages were eventually released. 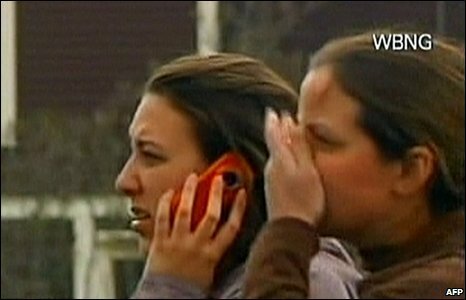 Footage from WBNG-TV showed four people being carried from the scene. 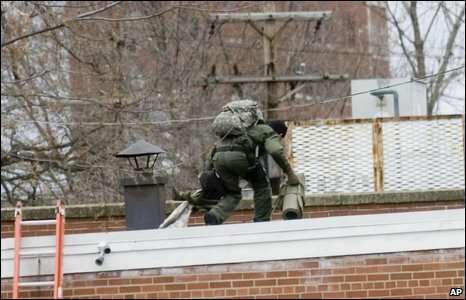 Heavily-armed police, backed by commandos and FBI agents, swarmed into the area and surrounded the building. 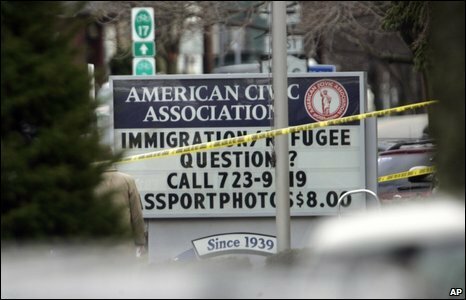 Members of the public watched in distress as the drama unfolded over several hours. 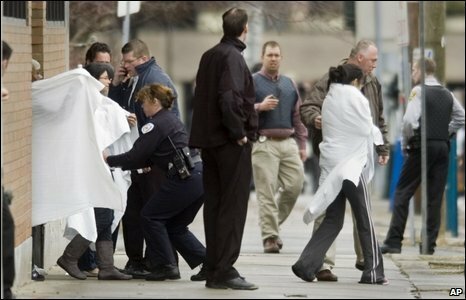 It is thought that the man opened fire on a group of people writing their US citizenship exams. New York Governor David Paterson said it was a tragic day for the state.